Description: The 4.75 oz. 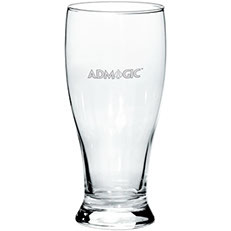 Flare Pilsner Glass has style and personalization options ranging from several imprinting methods to gold and silver accents on the rim. Description: Clear 19 oz. pilsner glass. 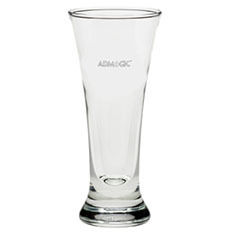 Glass composite with thick protruding base and smooth rim. 3.5" W x 7" H.
Description: Clear 20 oz. 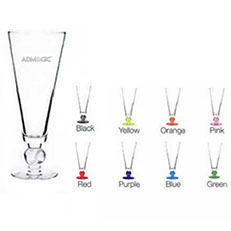 pilsner glass with thick colored base. 6 3/4" height 3" width diameter brim 3". 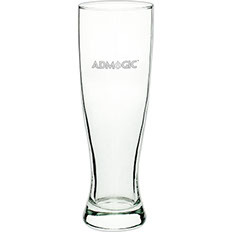 Description: Clear 20 oz pilsner glass with smooth rim. 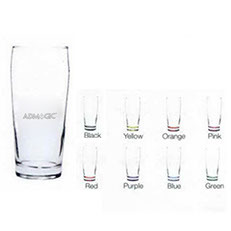 3.25" W x 8.25" H.
Description: Clear 23 oz. 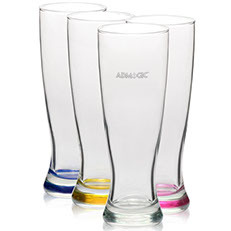 pilsner glass with thick colored bottom and smooth rim. 3 3/16" W x 9"H.
Description: Clear 20 oz. 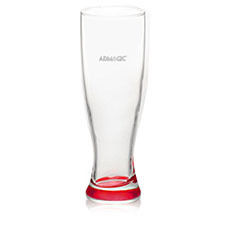 pilsner glass with smooth rim and colored base. 3" W x 8.25" H.
Description: Clear 10 oz. 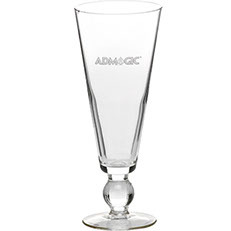 hourglass pilsner beer glass with thick base and smooth rim. 2.75" W x 5.75" H.
Description: Clear baseball sports tapered 16 oz. pilsner glass with smooth rim and baseball stem. 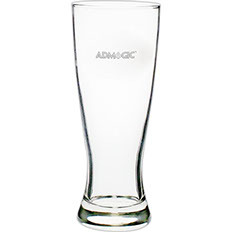 3.5" W x 9" H.
Description: Clear footed tapered pilsner glass with unique stem and colored base, 10 oz. 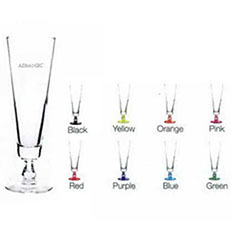 Custom sprayed bottom glass that gives a colored hue. 2 7/8" w x 8 5/8" h.
Description: Clear 16 oz. 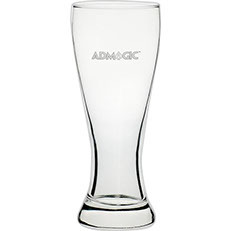 pilsner glass with smooth rim. 3" W x 8.25" H.
Description: Clear 20 oz. 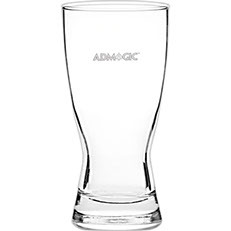 pilsner glass with thick bottom and smooth rim. 3.25" W x 8.25" H.
Description: Clear baseball sports tapered 16 oz pilsner glass with colored base, smooth rim and baseball stem. 3.5" W x 9" H.